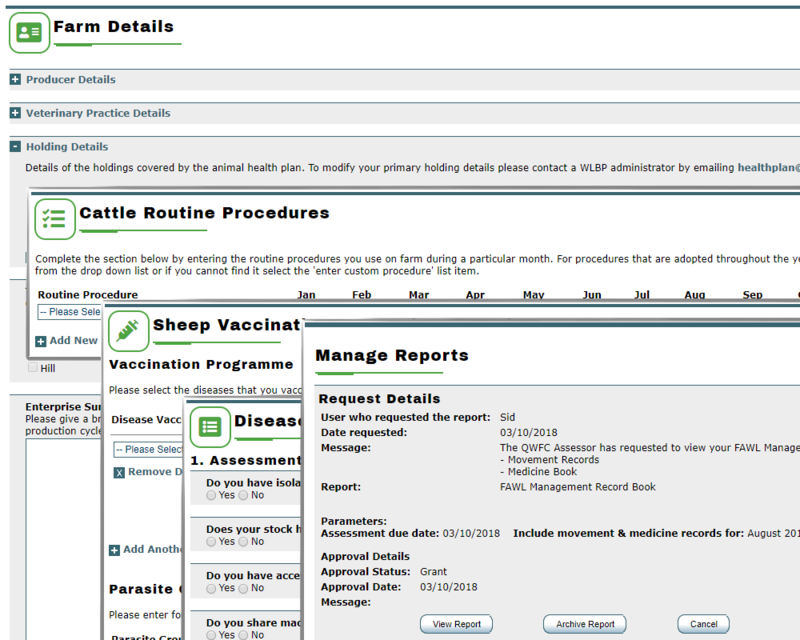 The Farm Records and Animal Health Plan is a tool designed to assist WLBP members to maintain accurate and up to date records of animal management. This includes a sheep flock book, cattle herd register and medicine purchase and treatment record. It also includes the Annual Health and Welfare Review which is required as a standard within the FAWL scheme. The Animal Health Plan tool is a series of easy to use screens that can be accessed via this site. Any combination of these enterprises can be entered on one Health Plan. The Animal Health Plan has been designed as an active working document that can be used by farmer and vet. It will also have (soon) the capability of allowing a third party to view the information. Access to viewing any information requires permission granted by the farmer. The final product is a comprehensive document that details how the WLBP member manages their enterprise(s) now and on into the future.